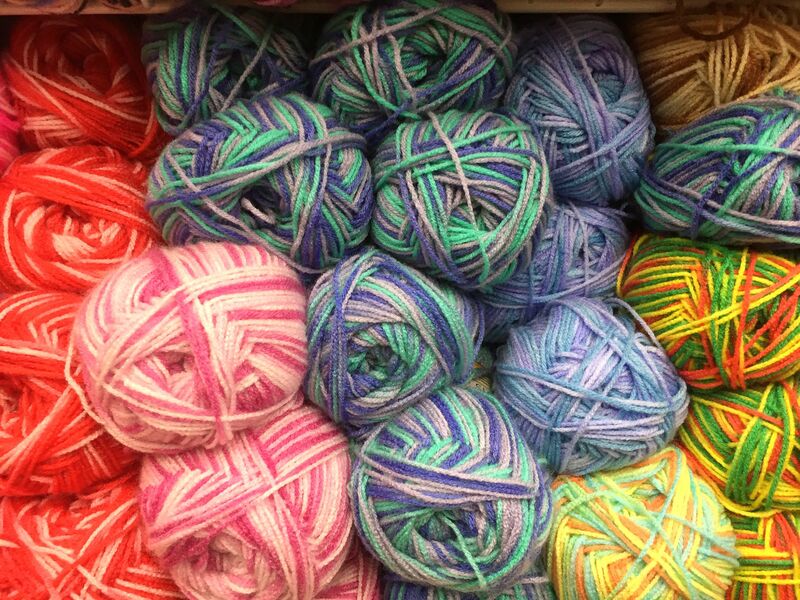 When shopping for yarn, colorful variegated yarns often leap off of the shelf. They're eye-catching. They blend colors so beautifully. Plus, if you get all of the colors you want in one skein, then you don't need to worry about changing yarn colors within a project. However, even though those beautiful colors beckon and it's hard to resist buying them, crocheters sometimes find themselves disappointed when they get them home and try to work with them. It's just hard to tell how the yarn is going to work up. The results can vary dramatically depending on the crochet stitches that you use. Sometimes crocheters have a few bad experiences with variegated yarn and just give up. If you’ve ever made an ugly project using variegated yarn, then you aren’t alone. However, once you get a handle on how to use variegated yarn to its best advantage, it could result in some of your most spectacular crochet projects ever. Don't be afraid to try variegated yarns. These crochet tips will help get you started. Some self-striping yarns have long lengths of each color. Others have really short stretches and change color quickly. You can make great crochet projects with either type of variegated yarn. However, if you're struggling to work with multicolor yarn then you might want to start with skeins that have long color repeats. Colorways like this can ​accommodate a variety of different stitches, even the taller crochet stitches. In other words, whether you work them in single crochet or in double treble crochet, you'll still get a beautiful result. Shorter lengths don't always work in those taller stitches. color repeats in variegated yarn. It seems completely counterintuitive, but instead of working with a single colorway of variegated yarn, combine it with other colors throughout a project. Better yet, do a double-stranded crochet project with two different variegated yarns. colors in variegated yarn, then what would make it easier about adding multiple colors? However, sometimes it works out really well, giving you the most unique eye-catching crochet projects that you've ever created. Don't take us at our word; try it and see for yourself! 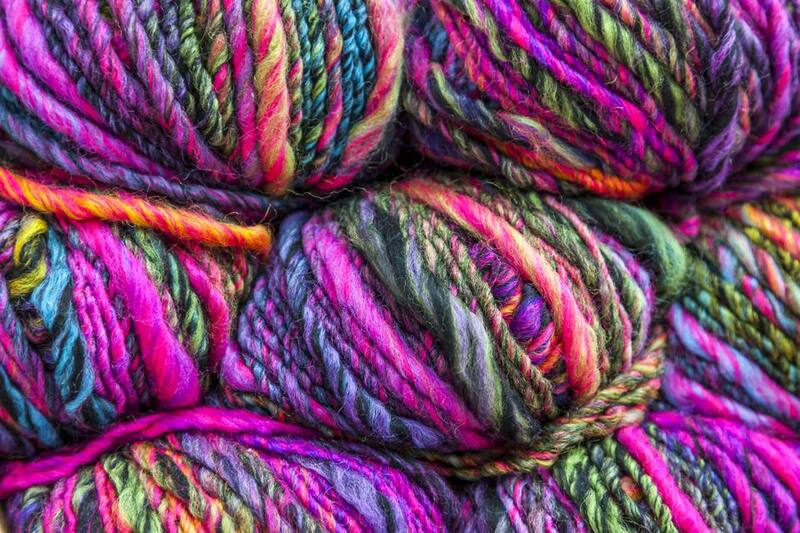 Some yarn combinations and stitch combinations work better than others, so be sure to check out these 5 ways to combine variegated yarns. It's easy to cross the line between eye-catching and too busy. Yes, this seems to go against the previous advice. However, we aren't talking so much about color here. Instead, we're talking about pattern. Complex, detailed stitch patterns using a diverse range of advanced stitches may not make great projects if you're just starting out with variegated yarn. Eventually, as you get comfortable with multicolor yarns, you may want to take on those projects. But in the beginning, keep it simple. When in doubt, less detail is better on variegated yarn projects. Most of the time, yarn is yarn, and you can use it for either knitting or crocheting, interchangeably. work well for the other.